For the months of December and January I was silently detested by a group of Indian men who only wanted a quiet game of Table Tennis. 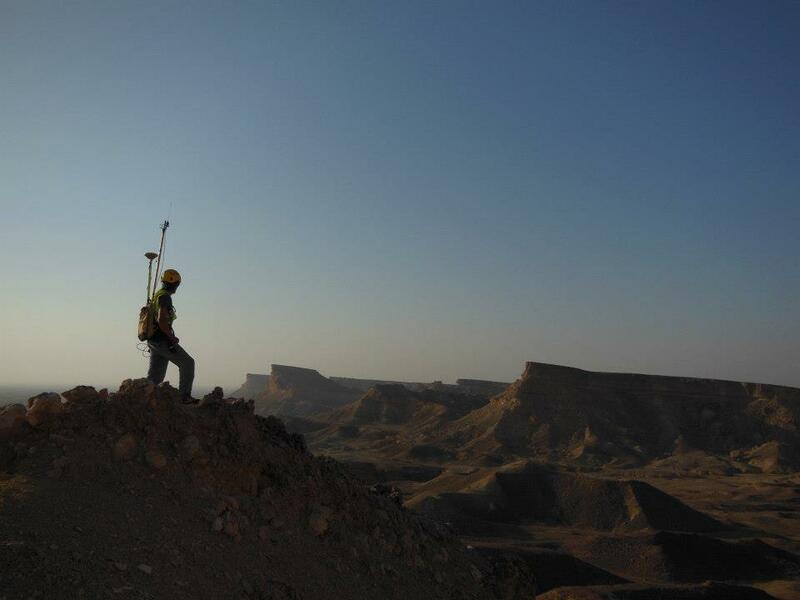 I was in Oman working as a Mountain Safety Operative on a seismic survey, and every day after work I would run on the treadmill in the air-conditioned recreation skid. My running would shake the trailer so violently that using the adjacent Ping Pong table was quite impossible and I would be left alone to listen to bad music and dream of winter (which is only natural when you’re stuck in the middle of a desert). 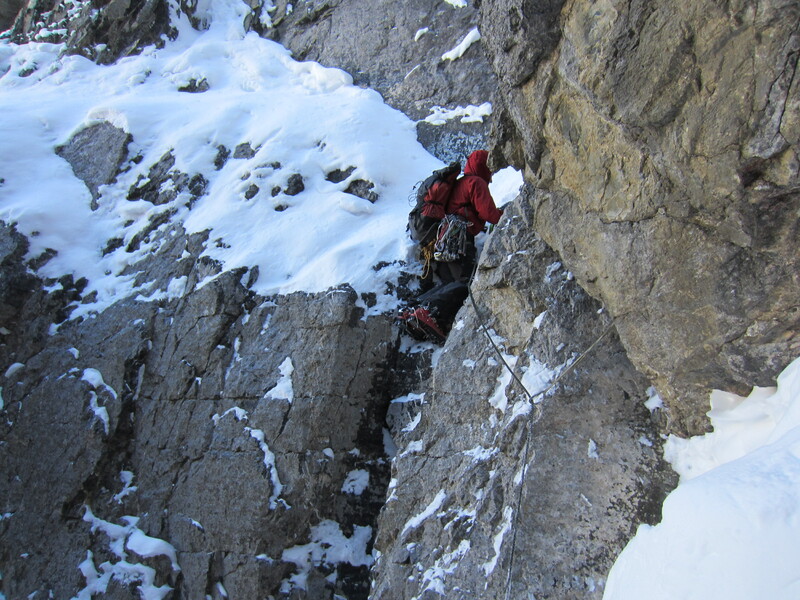 Ian Welsted climbing the Slawinski-Takeda on a sub-peak of Mt. Athabasca. We spent two months working together in Oman where we had plenty of time to make grandiose climbing plans. Back in Canada, we skied into Emperor Face on Mt. Robson only to bail the next morning when the weather wasn’t quite as we had hoped. It may seem shocking that I spent more time on the treadmill than in the camp bar, but it can be entirely explained by the principles of operant conditioning. Being hungover while performing physical labour in the already stultifying heat of the desert is such a horrible experience that if you repeat it enough times (which I did) you will surely condition yourself to avoid the behaviour which invariably precedes it. So I had little choice in the matter (I’m a bit of a free will skeptic) and was stuck running on the treadmill even though drinking beer would have been much more fun. The result being that when I eventually got back to Canada mid ski season, I was not entirely out of shape. 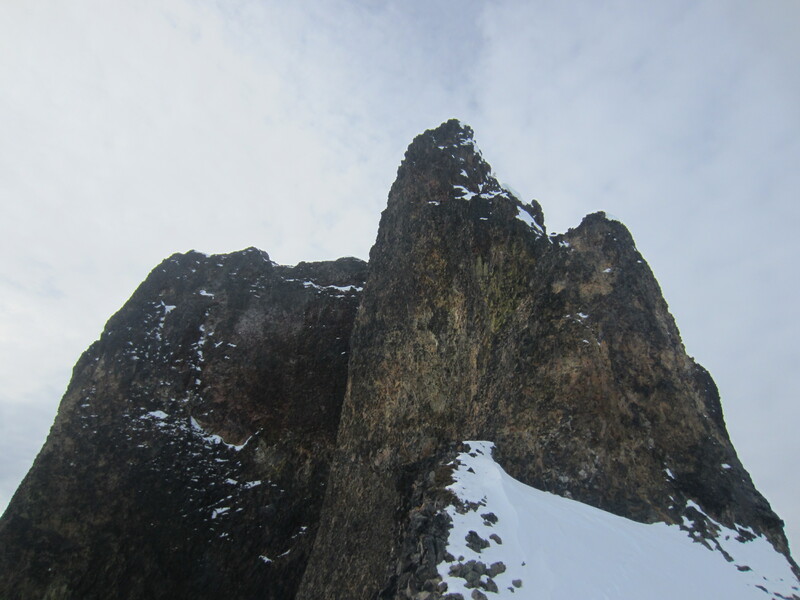 The East Ridge of The Table in Garibaldi Park. In an effort to gain some ski fitness I toured across Garibaldi Lake with thoughts of climbing it in my ski boots – after all Tom Fyles had soloed the first ascent in 1916. However, from up close it looks absolutely horrifying. Tom Fyles was clearly a very strong climber and this ascent must have been amongst the most difficult in Canada at the time. However, any delusions of great fitness I might have harboured while jogging on the treadmill were quickly dispelled when I tagged along with my friends Eric and Brad for some interval sessions on skis. Being dropped by these guys was a good reminder of the importance of sport specificity in training (something that ought to be obvious, and yet is neglected by people who buy into fad workouts that are unrelated to their actual sports). 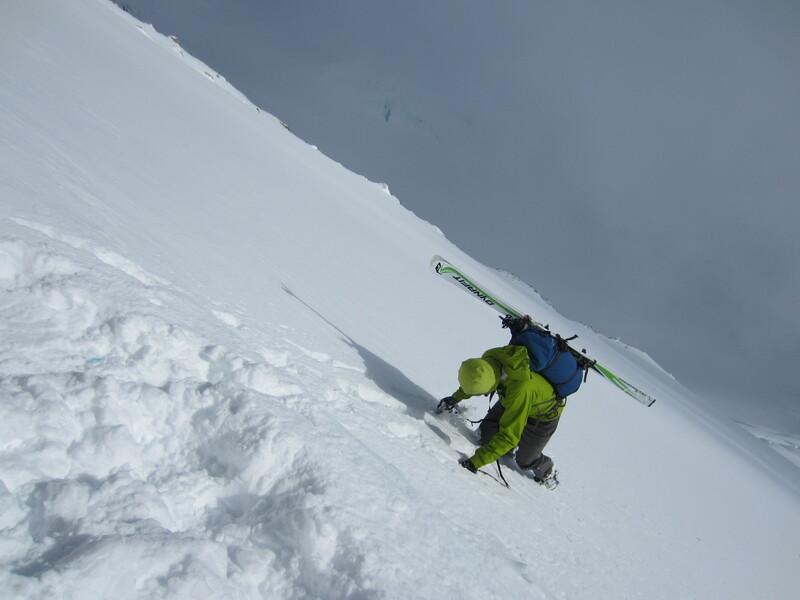 In order to ski quickly, you have to spend time on skis; excepting a few climbing relapses, this is what I tried to do when I got back from Oman. 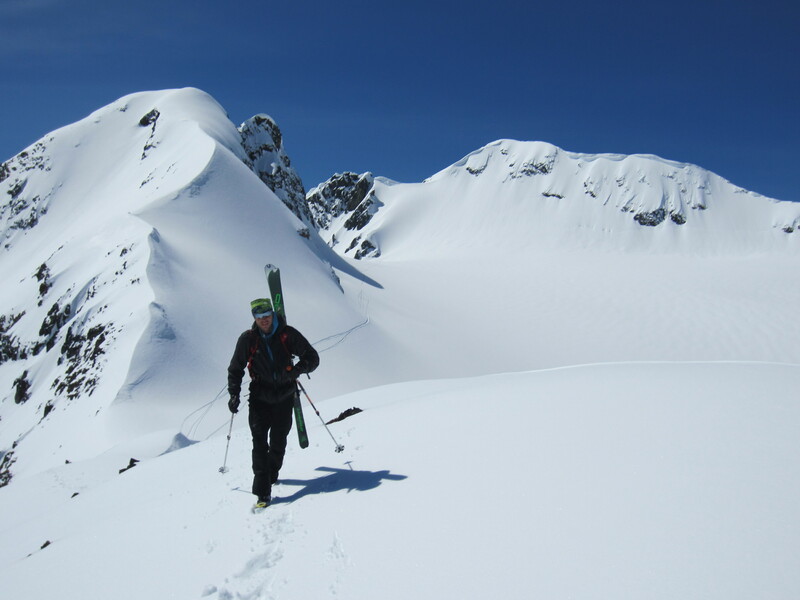 Karina skiing during her first trip around the Spearhead Traverse. 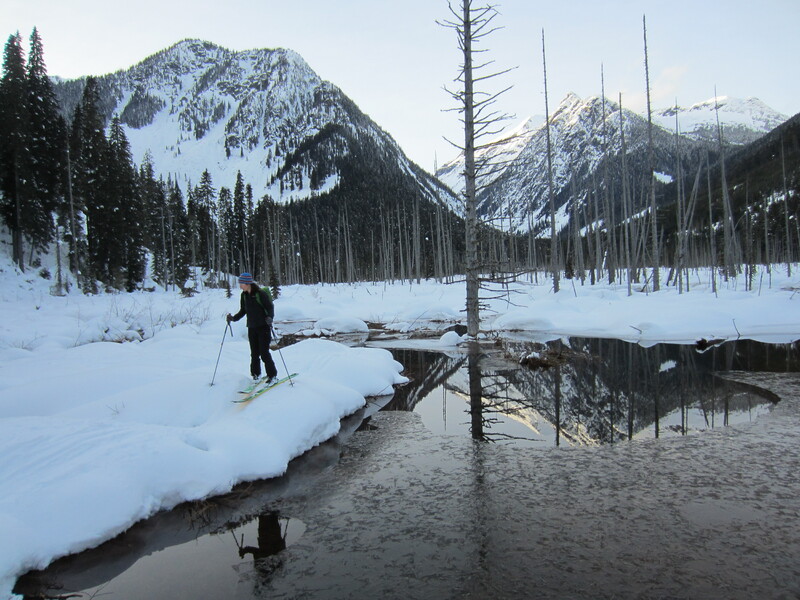 Karina skiing through the bog in North Joffre Creek on her way down from Cassiope. 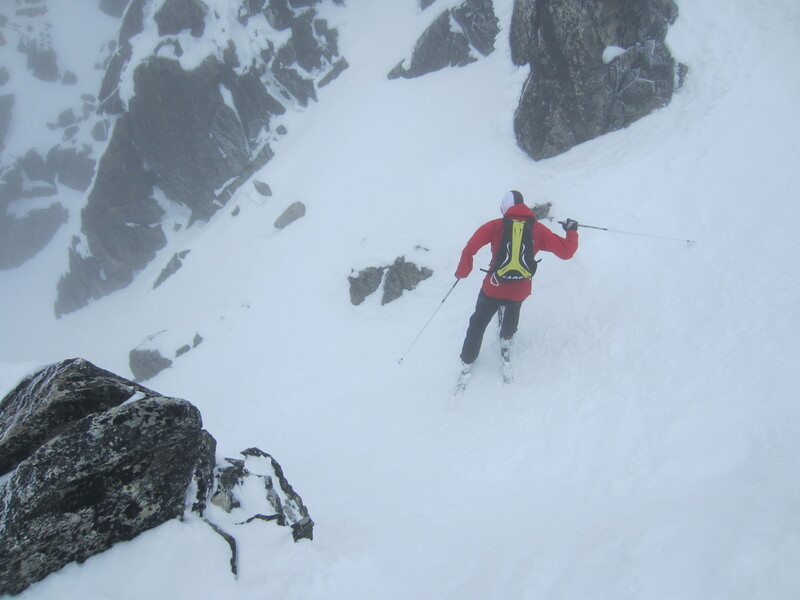 Last winter I made my first forays into the world of ski mountaineering racing. After many years spent focused solely on climbing (which is essentially an anti-competitive sport), getting back into racing has been a shock to my system in a number of ways. 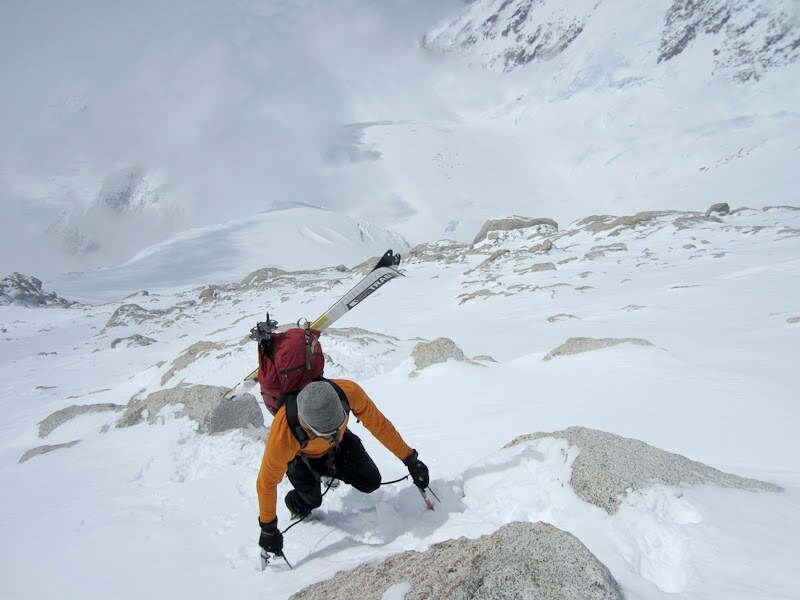 However, it’s also been very fun and has taught me a great deal about things like efficiency and training which I can hopefully apply in the future to more adventurous skiing and climbing projects. 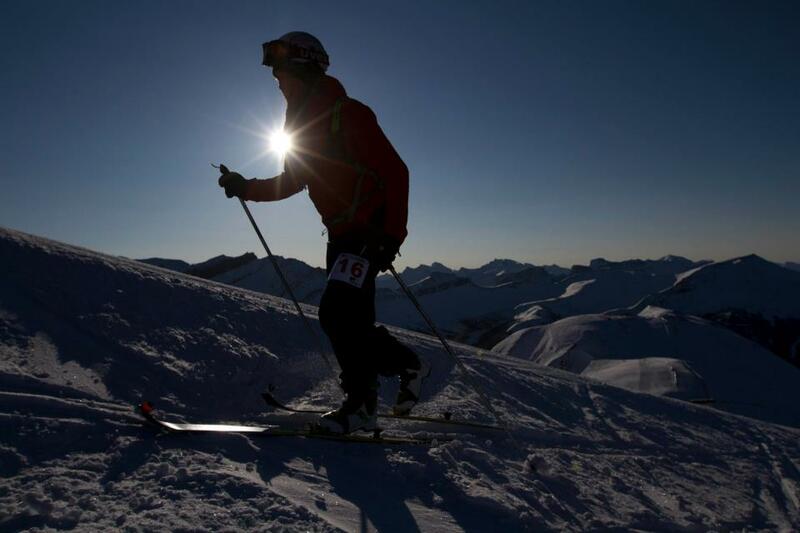 This is essentially a shameless plug for a sport that I hope will continue to grow here in Canada, but I really do think that there is a lot to be learned from “ski-mo” racing even if you don’t aspire to be the next Killian Jornet or Reiner Thoni. Plus, lightweight skis and boots are great for more than just racing. 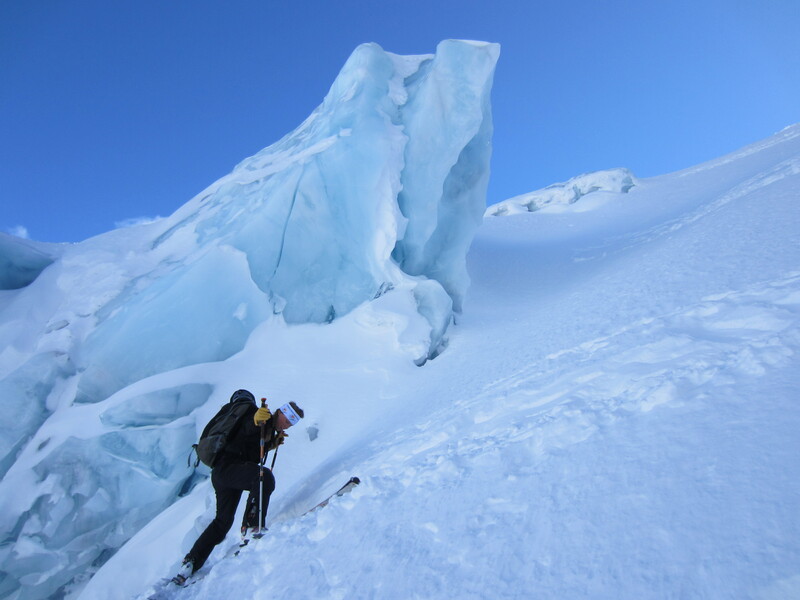 Regan skiing up the right-hand side of the Matier Icefall en route to the North Face of Slalok. 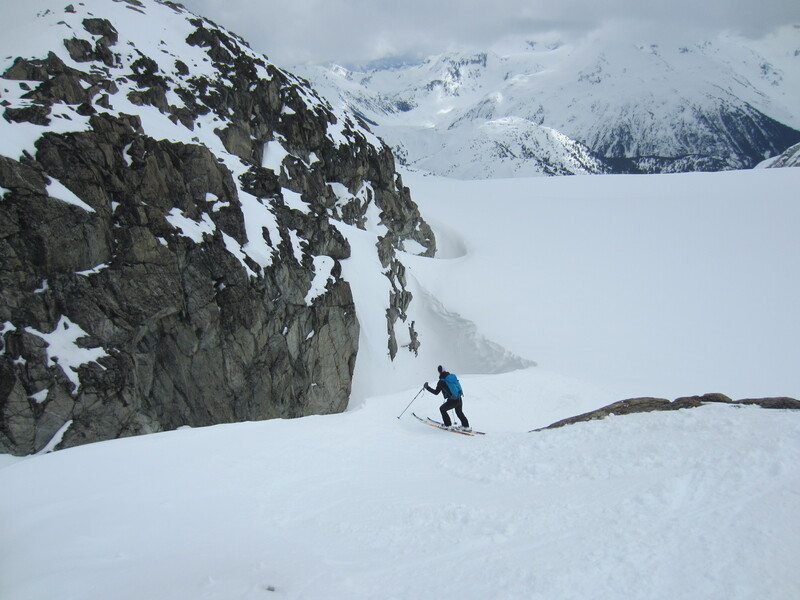 Stano headed for Million Dollar Couloir on Cayoosh. This year I was only able to make it to two races: the Dogtooth Dash in Golden and the Ken Jones Classic in Lake Louise. The races were on consecutive weekends so Karina and I drove out and stayed with our friends Tony and Hannah in Golden and did some ice climbing and skiing during the intervening week. Eric skiing DOA on Blackcomb on race gear. The Dogtooth Dash was designated as the North-American Championships this year, so even with a couple of the top Canadians off racing in Europe, it still attracted a fairly competitive field. I didn’t have particularly high expectations going into the race; my goals were to improve on the technical elements of ski-mo racing and to try to race myself into shape. Nonetheless, in what seems to be my default race strategy (“fade from the front” – a painful way to race), I found myself skiing with the leaders through the first two climbs. Not surprisingly, this didn’t last. However, in spite of some skin failure issues I managed to avoid fading any further than sixth place (and third Canadian) which seemed perfectly respectable given the caliber of the guys ahead of me. Near the top of the first climb during the Ken Jones Classic. By the following weekend and the Ken Jones Classic I had managed to convince myself that all that was required to close the gap of a couple minutes between me and the spandex-clad guys in front was a bit more mental toughness. As you can imagine, this is precisely the kind of thinking that leads to poor strategy decisions. I was so tired by the top of the first climb that I promptly crashed and bent my pole on the descent. Things failed to improve from there as my water froze and I began to really suffer. When Stano caught and passed me on the final climb my supposed mental toughness was nowhere to be found when I needed it most. Racing is tough. 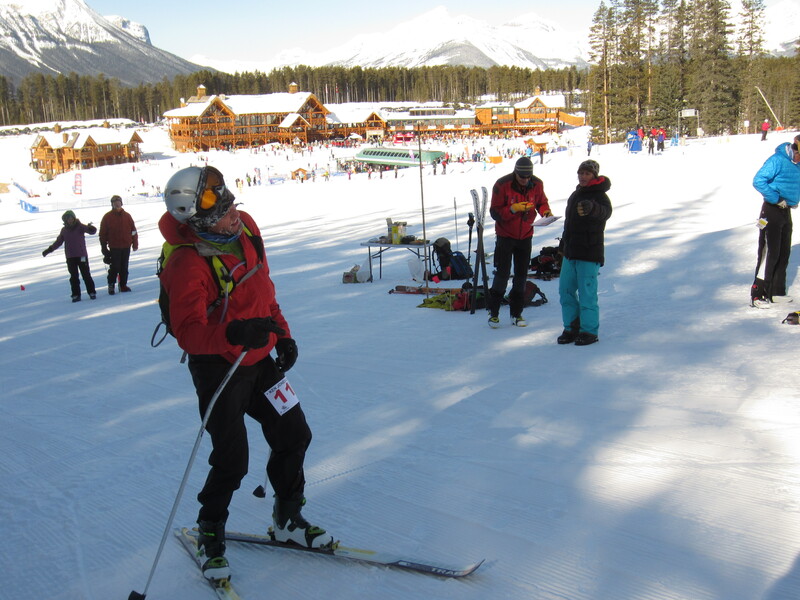 Crossing the finish line at the Ken Jones Classic in Lake Louise with a bent pole, frozen water and an ice-coated face. One of the benefits of racing is that it’s actually pretty good training. By suffering through the races I gained some good fitness which came in handy while trying to ski efficiently this spring.